A drive through the desert some 40kms to the south to Jebel Um Adaami, and a guided hike to the top, which usually takes about 2 1/2 hours and a little less to come down again. This is a magnificent drive going through the far valleys of Wadi Rum and crossing the beautiful and lonely Wadi Saabit. Just the drive to get there takes an hour and a half, so you should count this as a full day. 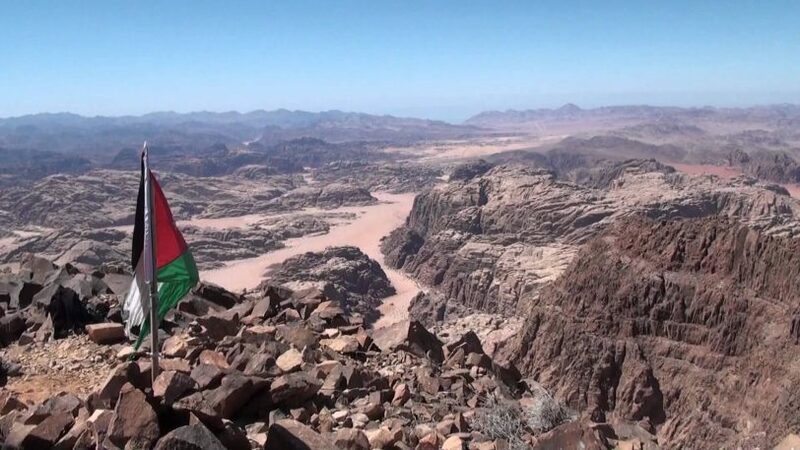 Scrambling Jebel Um Adami lies on the border between Jordan and Saudi Arabia.The highest mountain in Jordan more than 1,800 meters high. Next morning back to the village. Optional CAMEL RIDE from the camp to the village*. – Return to WadiRum village by Jeep. *The camel ride from the camp to the village takes 2 hours through WadiRum. 30 JD/Person.